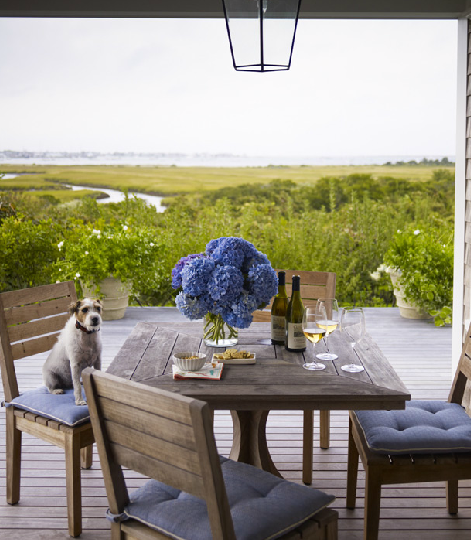 What's better than a house on Nantucket? One designed by Katie Ridder, of course! 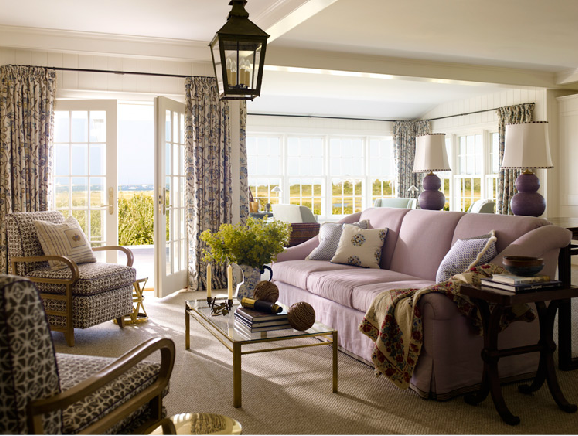 Just look at this gorgeous lavender space (with a fantastic island view to die for) that's perfect for hanging out on a chilly evening with the family. Katie incorportes the traditional Nantucket blue and red with a new punch. 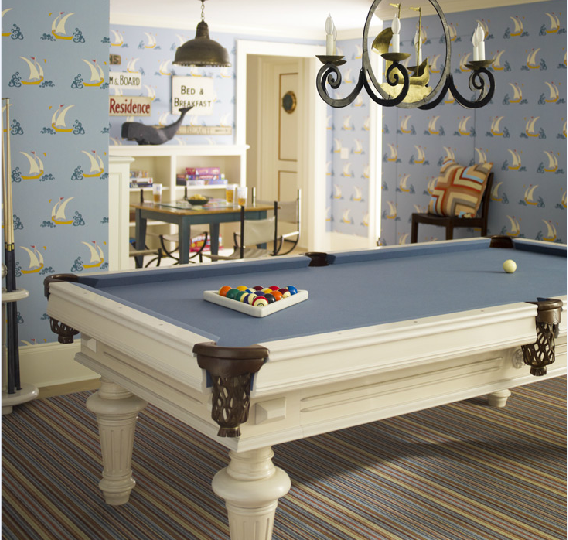 Seriously, just check out this billard room! The way she uses the retro sailboat wallpaper, and traditional striped rug are a perfect example of her always chic and compelling combos that make the tried and true, so fresh and hip. 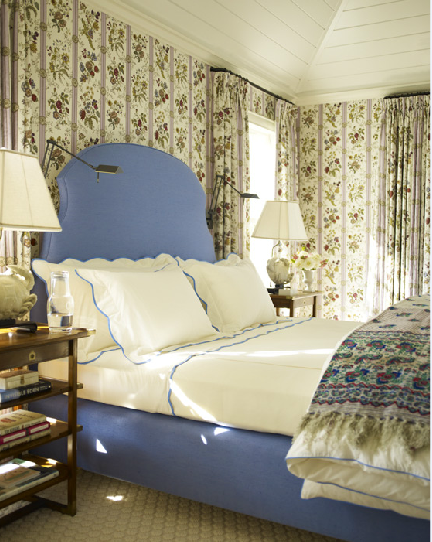 This bedroom illustrates Katie's fresh yet traditional design twist perfectly with its oh so conventional striped and floral wallpaper combined with that fresh hydrangea blue headboard and white linens with scalloped blue trim. I totally adore this green bedroom! 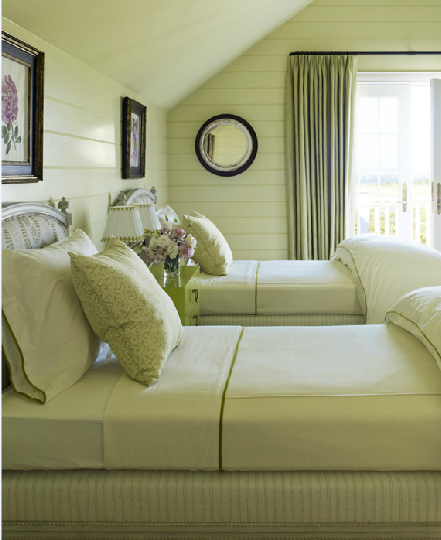 From the board and batten walls to the sweet botanicals on the walls, to the fresh spring green trim on the linens. Okay, so this is where I would be sipping some vino each evening all summer long! The understated greyed out teak furniture looks plenty comfy with the greyish blue cushions. Who needs anything more than that stellar view and a cute lil doggie? 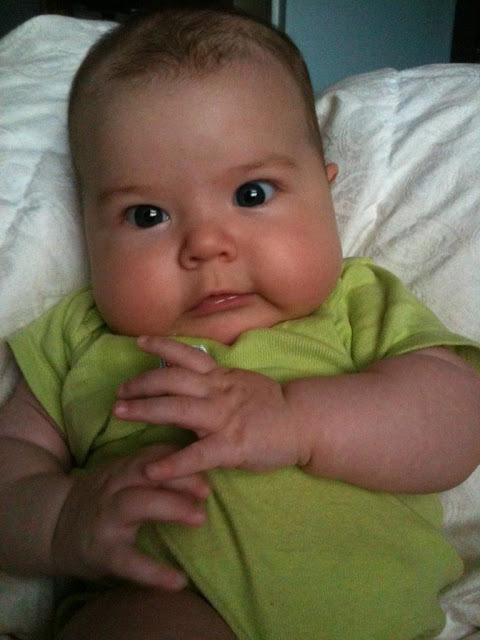 I think she wants to sleep in that fab green bedroom given her cute lil onesie!